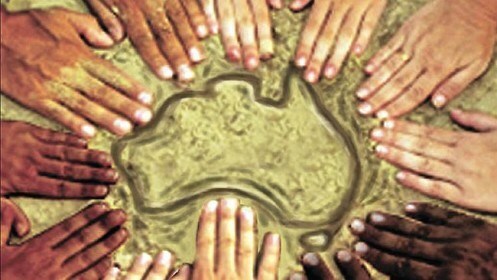 Those of us here in Australia who are supporting asylum seekers – and there are many, many of us – are extremely grateful that you are keeping up awareness of the humanitarian plight of those who sought asylum in Australia and have been held in prison-like situations of extreme isolation for four years or more on Manus and Nauru, as well as those living in the Australian community but with diminishing support, no opportunities to work or study and no certainty about their fate. The attitude in Australia, amply demonstrated by this Government, is one of punishment, not asylum, “justified” on the basis that only this will dissuade others from attempting to reach Australia by boat. This politically-driven insistence on using vulnerable human beings as deterrents has long ago gone past any pleas to reason. It has been vigorously condemned by the UN Refugee Agency, as you would know. We understand that you intend to spend $2.7 million supporting those refugees. We beg you to spend this precious money DIRECTLY, preferably through NZ-controlled support on the ground and not via the Australian or PNG governments. It is the refugees who so desperately need help, along with the very few local people in a position to genuinely support them. You will be well aware that Australia spends billions on off-shore detention…but who profits? Who benefits? Certainly not the local people or the refugees. How could the generous donation of your Government possibly help? There will be many advising. However, it seems clear that it is direct and not indirect support that would possibly make some difference. Teachers, trauma-trained psychologists and facilitators, music therapists, grief counsellors, those experienced in community work and culturally appropriate spiritual support would surely be rehabilitative. Days, months, years of emptiness take the most appalling toll. 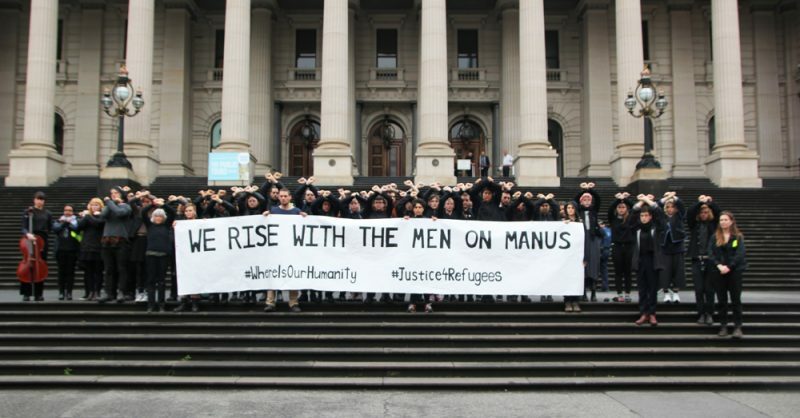 Australian Catholic Social Services, led by Father Frank Brennan – outspoken as a human rights lawyer on these people’s thwarted refugee rights – and many other well-organised groups could work with you, but you will want to hear first and foremost from the men on Manus themselves, or from the women, men and children on Nauru. Behrouz Boochani is a most eloquent, courageous spokesman for the Manus men. He is the “Anne Frank” of this terrible situation. There are sure to be spokespeople equally convincing on Nauru. That the Australian Government disallows us to know them or feel their pain does not mean they are not there. We are ready to hear them. Perhaps you are already moving in that direction. It is clear from their public statements that the Australian Medical Association is also gravely concerned about the physical and mental health effects of indefinite detention on already traumatized human beings. The AMA President, Dr Michael Gannon, has spoken out with admirable directness on this matter. My husband, Dr Paul Bauert, a national advocate through the AMA, was until recently Director of Paediatrics at the Royal Darwin Hospital. Darwin had its own Detention Centre for many years – and has space enough should healing and support in Australia ever be permitted. During those detention years, when Paul (or his colleagues) saw a young patient from the Detention Centre, not only would the unwell child – even a baby – be accompanied by a Serco guard (with a guard for each parent or carer also), but the child would be identified by the number of the boat on which the family arrived. To say that this is chillingly dehumanising is barely to describe it. 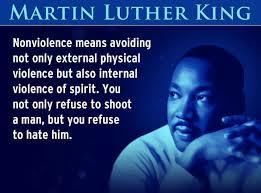 Whatever is done, whatever we can do, must be a temporary measure only. The greatest and most realistic fear of the asylum seekers surely is that they will be abandoned and forgotten in places where they can’t rebuild a life of dignity and hope. 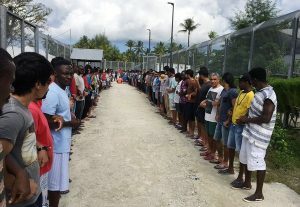 The rebuilding of life, as any of us would want, must be our ultimate aim in supporting them towards resettlement, whether this is in your country, New Zealand, or elsewhere. You will be deluged with opinions from all sides on this and so many matters. I thank you deeply for taking whatever time you can to read these words. 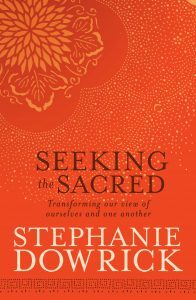 Reverend Dr Stephanie Dowrick is a writer, an interfaith minister and a life-long social activist. You may share this letter using the buttons below. You may comment on Stephanie Dowrick’s public Facebook page.